That is how it works in the City. Every time you think you know the answer to a question, you discover that the question makes no sense . . .' This is the story of Anna Blume and her journey to find her lost brother, William, in the unnamed City. Like the City itself, however, it is a journey that is doomed, and so all that is left is Anna's unwritten account of what happened. 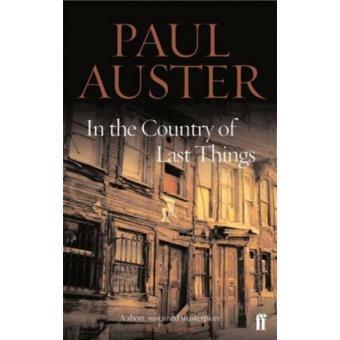 Paul Auster takes us to an unspecified and devastated world in which the self disappears amidst the horrors that surround us. But this is not just an imaginary, futuristic world - it is one that echoes our own, and in doing so addresses some of our darker legacies.